Today is a good day. 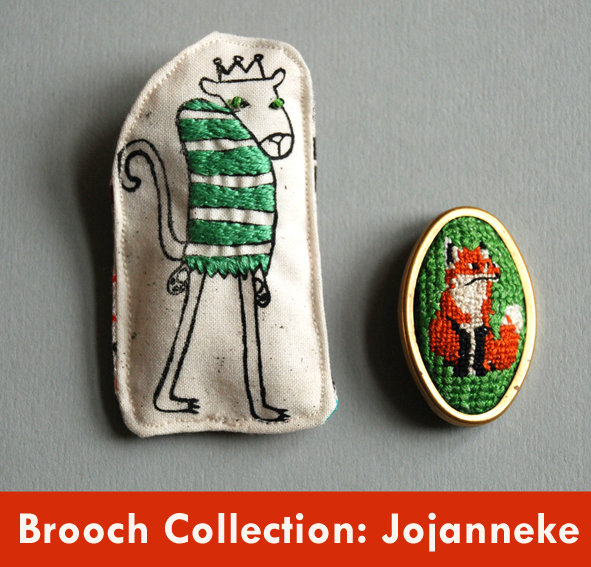 Not only there is finally a Brooch Collection post online. 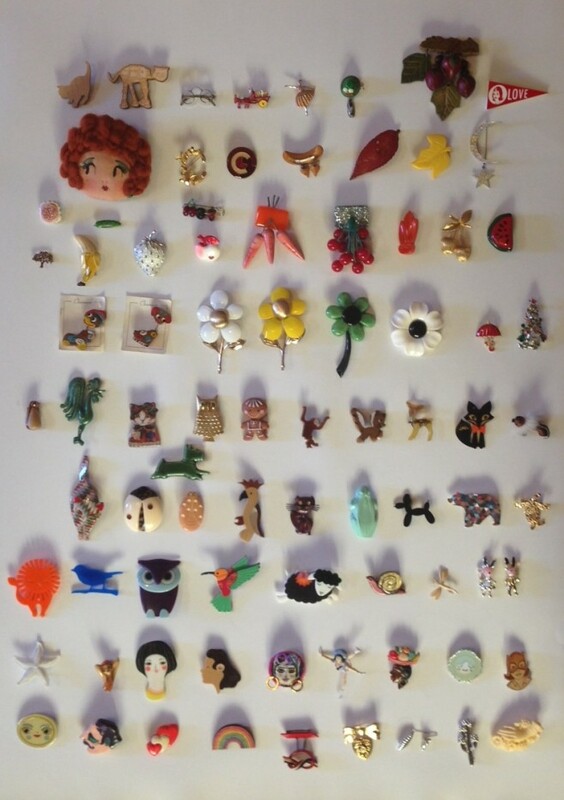 But it’s one of the founders of NoveltyBroochFriday* that is willing to share her lovely collection. Meet Claire! Which one is your favourite and why? It is so hard to pick a favourite but If I can, I’d pick a type: it would be the recent handmade brooches I have collected. There are so many fantastic crafters and artists out there, I love to support them by purchasing their work and wearing it. 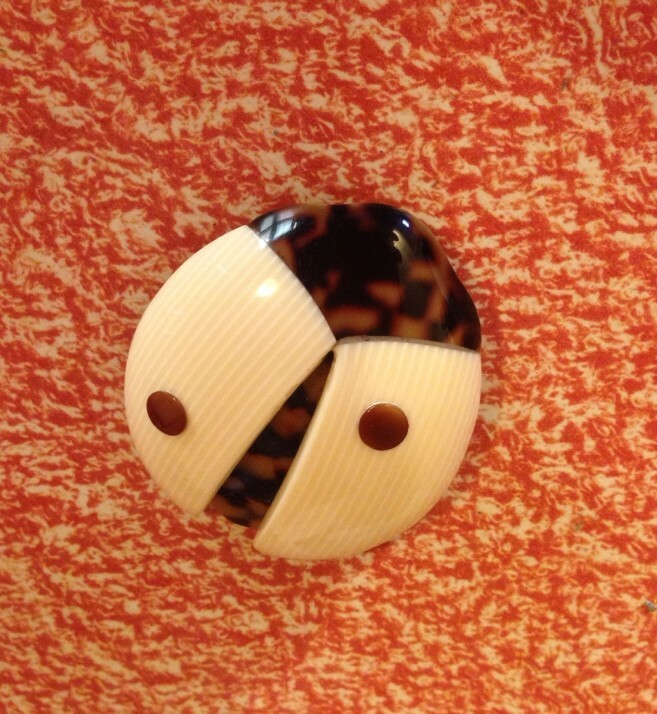 My first brooch was bought for me by my husband about 10 years ago, it’s a Lea Stein ladybird brooch. I remember admiring a window display of Lea Stein’s brooches and jewellery, lucky for me my hinting paid off and I received one for my birthday that year. 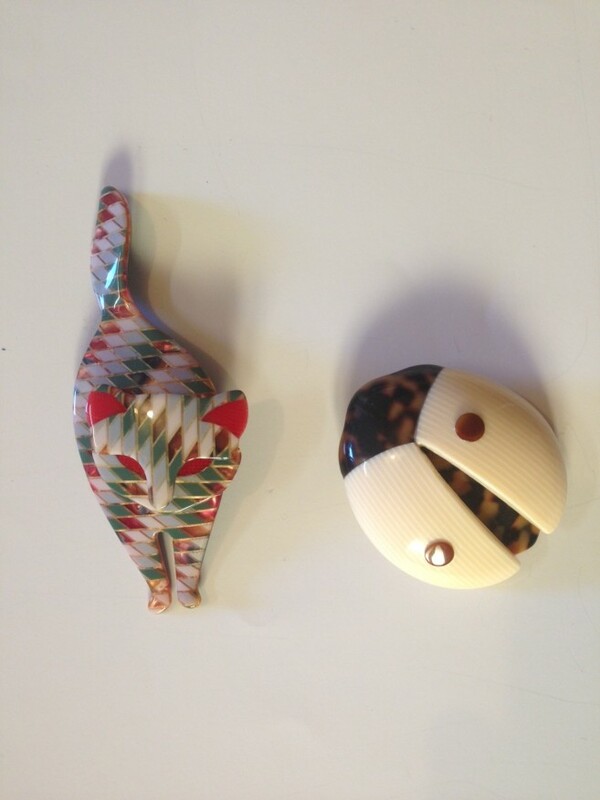 Last Christmas he surprised me with another Lea Stein brooch, a fantastic harlequin cat. 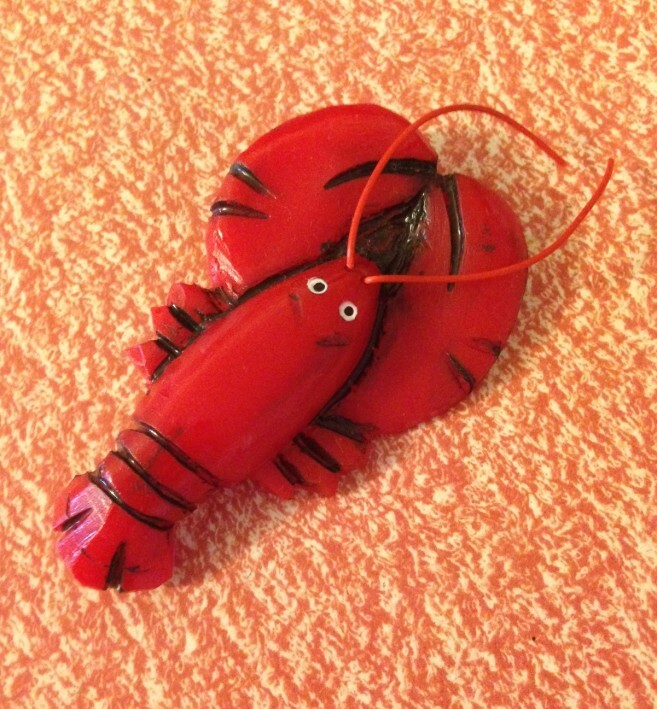 I recently purchased a Luxulite giant lobster, it’s so fantastic! 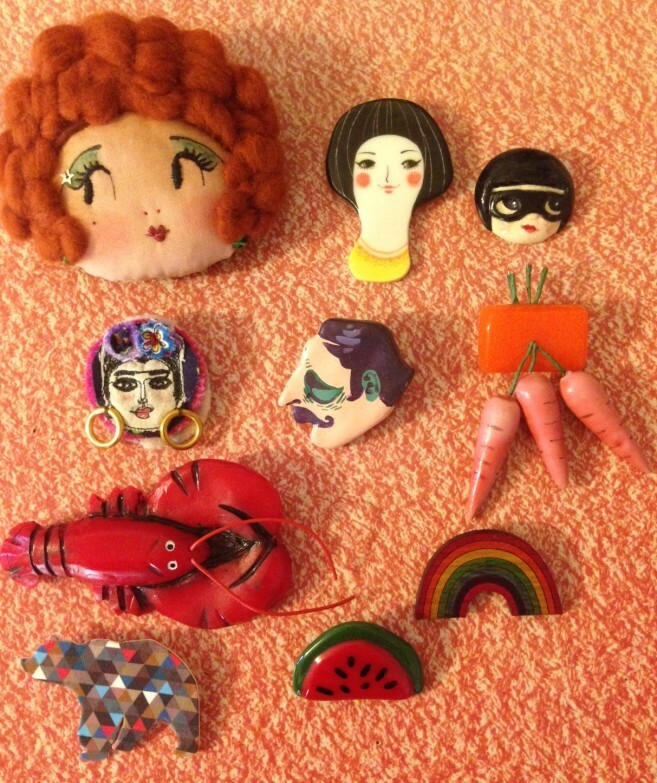 I love wearing large brooches, they make me happy and I usually get a lot of comments, some favourable, some perplexed that I would wear a lobster, or carrots or a man’s head on me. 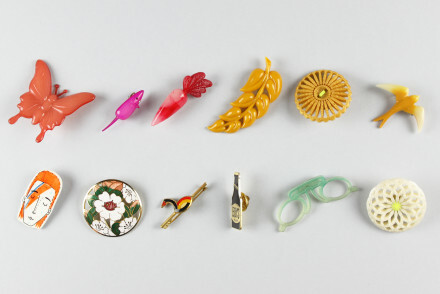 Which brooch is on your brooch-wishlist? I love the large plastic and wood brooches of the 1940’s, they were a lot of fun, they had that novelty appeal and they make me smile. Thank you so much Claire for your answers and for giving us an insight into your collection. Since not so long Claire went back illustrating again. And she is so talented! I recently purchased her zine ‘Around Town’. I love the fact that her characters also wear brooches! 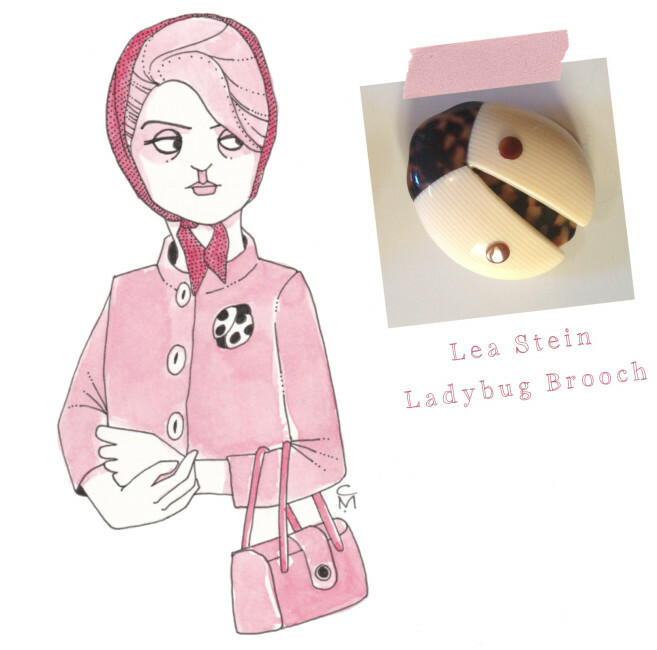 For example the lady in pink here wears a Lea Stein brooch. Check out this pink lady drawing and other lovely pieces of art (and the zines, they are great!) in her Etsy shop. 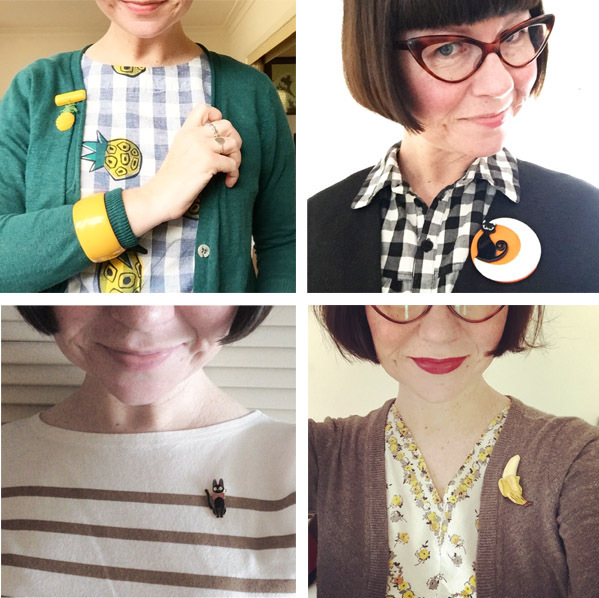 Find Claire on Instagram to see all the fabulous brooches she wears. 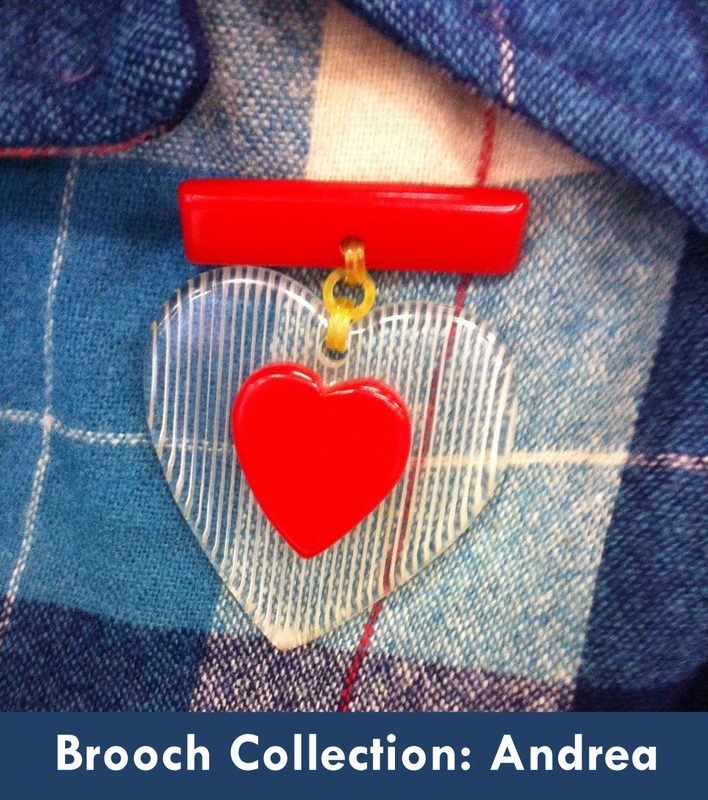 Read more about #NoveltyBroochFriday on her blog or stop by her Etsy shop.